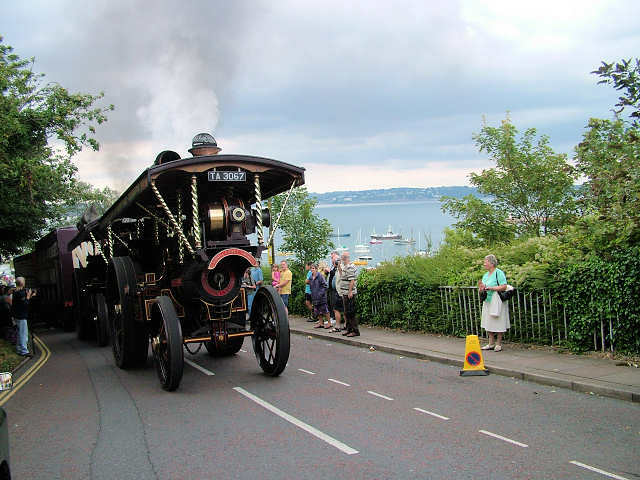 Visitors to The English Riviera in early August can enjoy the Torbay Steam Fair; an annual gathering of traction engines of all shapes and sizes. The 2011 event is the 25th anniversary of the event which takes place between Brixham and Paignton on the South Devon coast. Classic cars, motorbikes and other forms of transport. A models and craft tent. Childrens entertainment throughout the weekend. Traditional fairground with a number of the rides powered by the steam engines. On the opening day, the Friday, The Showman’s Haulage Run takes place where the steam engines will make the run up to Furzeham Green in Brixham in a re-enactment of Brixham Fair’s of old. The Torbay Steam Fair costs £6-£7 for adults and £2-£3 for children so it’s an affordable day out. There is on-site catering and parking too. See more about the event on the official website – www.torbaysteamfair.co.uk.